Don’t be afraid of pigs cheeks, they are really tasty, have virtually no fat, and really cheap. This recipe serves 4 with a side of veg, or two plus two good lunches, it has hardly any ingredients so is a really economical meal, coming in at much less than £5! The pigs cheeks take a while to cook, but the active time is quite low in this recipe as they just cook away happily for two hours so you can walk the dog, have a snooze, whatever takes your fancy!! It’s all cooked in one pot so if you have a nice big pan that will fit everything in use that as it’s less to wash up. Brown the pigs cheeks in olive oil in a large pan, chop veggies whilst they are browning. 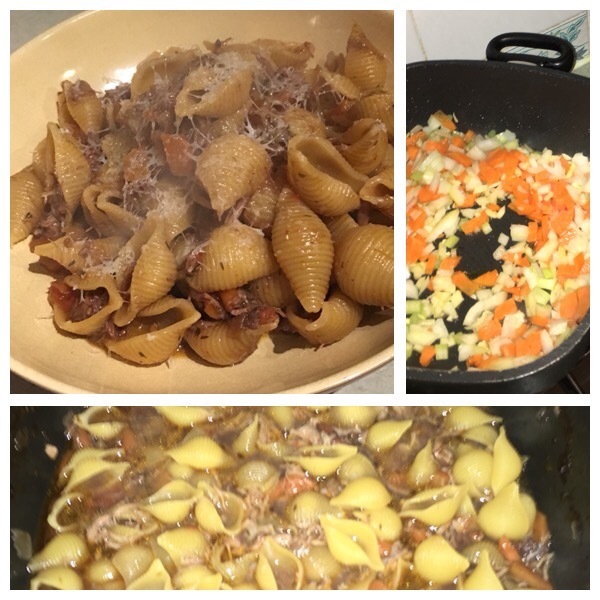 Remove cheeks from pan and set aside, add onion, carrot and celery to the pan and cook for a good 5-10 mins until nicely golden, add tomatoes, herbs, season well, and cook for a couple of mins then add the pigs cheeks and wine, cook for about 3 mins to allow alcohol to cook off. Add stock,cover and simmer on very low heat for at least 2 hours. 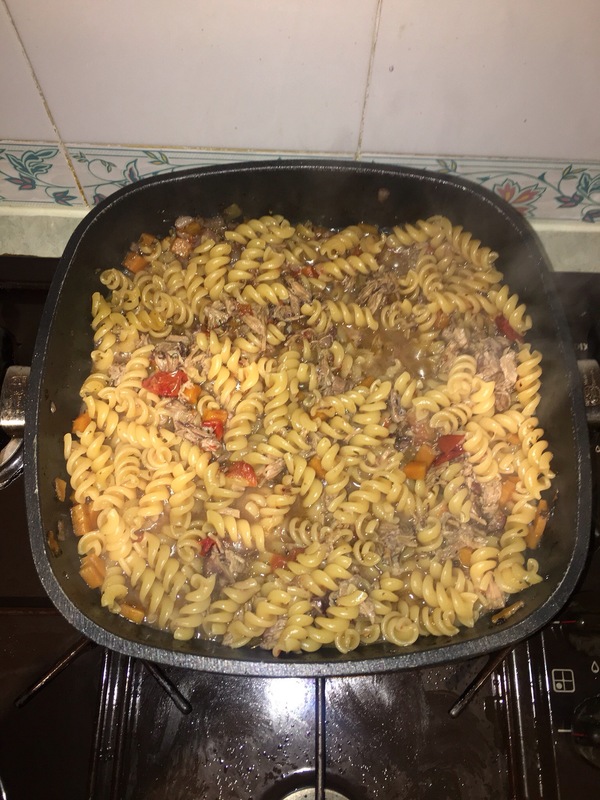 Remove pigs cheeks and check that there is enough liquid to cook pasta, top up with hot water if necessary, bring to boil and add pasta, cook for as long as recommended on pack. Shred pigs cheeks and add to pasta mixture. It’s not entirely authentic as is a Spanish recipe, but I like it seven with grated Parmesan and a bit of black pepper. 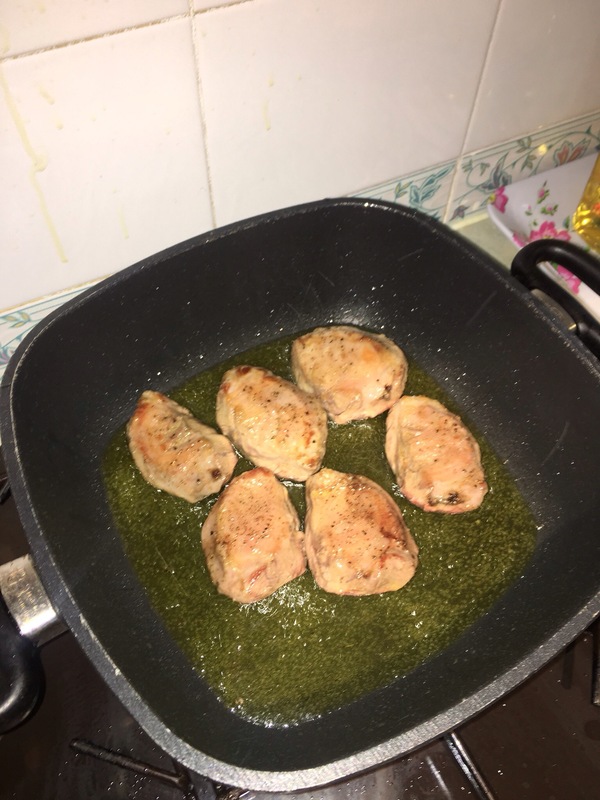 If you are saving leftovers for luck I would advise adding a tablespoon of water to each portion as it has a tendency to thicken even more after in the fridge, then either heat in pan or microwave.